In Your ‘Owl’ Sweet Way !! 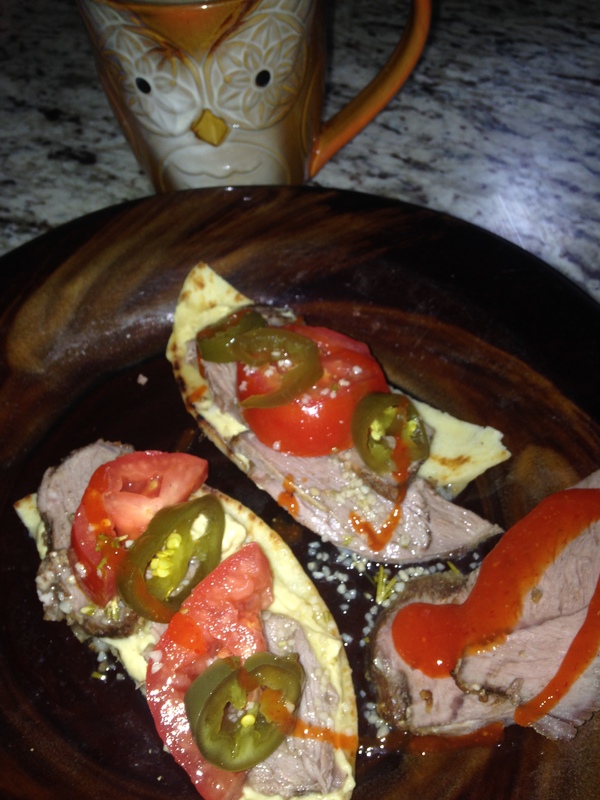 Baked lamb on pita with fresh tomatoes and jalapeño. hummus and homemade ‘Rosemary, garlic. lemon, olive oil and ‘California honey’ sauce!’ A dollop of Sriracha. This entry was posted in "In the beginning there was a void except for the written word." The Avengers (Band) and tagged Alternative music, Baked lamb, Dave Brubeck Quartet, Goddess and Home, healthy food for your heart, hummus, postaday, Praying Mantis, Sriracha. Bookmark the permalink.